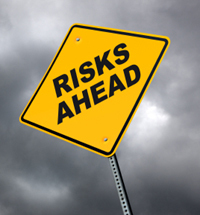 Poorly managed corporate risk all too often becomes risk that stakeholders unwittingly end up assuming. The consequences can be dire: Think deaths and accidents from unintended acceleration in now-recalled Toyota vehicles, the shocking demise of Lehman Bros. that fueled the global economic meltdown, or the deaths of oil platform workers in the explosion that started BP’s environmental catastrophe in the Gulf of Mexico. Scandal affecting public figures also continually demonstrates the high costs of poorly managed risk. Estimates are, for example, that Tiger Woods lost between $23 to $30 million in endorsement deals last year, even though according to Forbes, he still topped other sports icons’ endorsements. Finance professors at University of California at Davis estimated that shareholders of companies sponsoring Woods lost between $5 billion to $12 billion in market value from November 17, 2009, when the scandals around his private life broke, to December 17, 2009. Especially troubling here is that no matter how many examples establish irrevocably the very high human and financial consequences of reputation damage, and no matter how often leaders talk about the importance of having or regaining trust and reputation, the examples keep happening in different companies, with different leaders, with harm inflicted in different ways. It is almost a perverse corporate version of the movie “Groundhog Day” in which a calamitous day keeps repeating itself until the hero figures out what he has to do differently to find a way out. When will it be the right time for corporate leaders to do things differently? Mediator extraordinaire Kenneth Feinberg can’t be everywhere. His newest assignment is administering BP’s $20 billion oil damages fund; his intervention deemed necessary because there was little trust in BP’s handling of the claims. A recent supplemental research report by the Ethics Resource Center observes that companies are put at risk when leaders fail to see that ethical leadership is a vital component of effective and responsible management. Companies that put themselves at risk and whose behavior is also considered to have contributed to the financial meltdown have been required to appear at so many hearings, they’ve worn a virtual path to Washington DC. On June 30 and July 1, 2010, Goldman Sachs and AIG face questions from the Financial Crisis Inquiry Commission on The Role of Derivatives in the Financial Crisis. In that venue, companies are seen as the problem, not part of the solution; so the public relations hits to reputation are high. The jury is out on what it will take to convince corporate leaders to build into their risk management strategies the capacity to ask crucial questions about ethical liability, as is done with legal liability. Such a step, hardly radical, would have the objective of putting ethical conduct on the table as a deliberate outcome; evaluating business strategies and actions to assess the potential for unintended consequences that could harm credibility, trust, reputation, and their stakeholders. One of the disconnects pointed out in the survey is that CEOs often assume their own company is more respected and trusted than their industry. This can fuel arrogance and lead to miscalculations. However, even having more trust and respect than accorded others in your industry can evaporate fast as we saw when Toyota’s gold standard of quality fell like a house of cards. Another disconnect is that while 92 percent of CEOs say sustainability should be embedded throughout the organization, only 59 percent are actually doing that. So, how much weight do we give here for intentions? While 54 percent of CEOs say sustainability will be fully integrated in core business in another 10 years, the qualifiers are based on a number of factors coming into play, including creating a viable market for sustainable products and services. So bets are hedged. Also problematic is the 72 percent of CEOs who say brand, trust and reputation (essentially intangibles) are their biggest motivators for sustainability; standard drivers for business decisions like revenue growth, cost reduction, personal motivation and customer demand are motivators for less than half the CEOs. This begs the question: Will CEO commitment for sustainability have the enduring motivation to do the hard work of building ethical and responsible corporate policies and practices? Or is it a public relations placeholder until something else comes along? Commitment to making sustainability real would be a big step forward in ethical leadership. So too would consciously looking at potential ethical liabilities, before taking a course of action. Continuing with business as usual and expecting different outcomes is my definition of insanity. The lessons of the past several months offer ample reason to ensure that ethical considerations are paramount in corporate risk assessment.